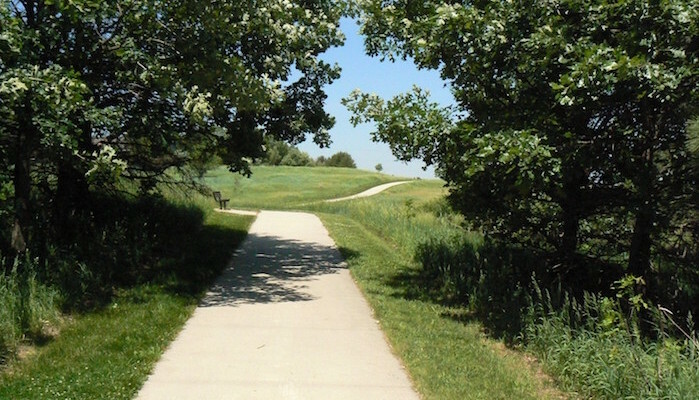 Chalco, a neighborhood about 12 miles west of downtown Omaha, is home to the Chalco Hills Recreation Area, a 246 acre green space that is perfect for both athletics and wildlife viewing. There are 7 miles of trails here — both dirt and paved — including a 5.7 mile loop around the park’s centerpiece, Wehrspann Lake. Like many other paths in Omaha, this route is paved in cement, which makes for flat and uniform terrain. The best point of access for runners is the northwest trail entrance off Giles Road. The park is open every day from 6 am to 10 pm.